Join us in Olivia, Minnesota, the “Corn Capital of the World” for Corn Capital Days. Featuring the famous Sweet Corn Feed, Musical entertainment, Health Choice Corn Capital Run, Kiddie parade, Grand parade, Outside/Teen Dances, Lions Club Fly-In Breakfast and Airshow and much more! 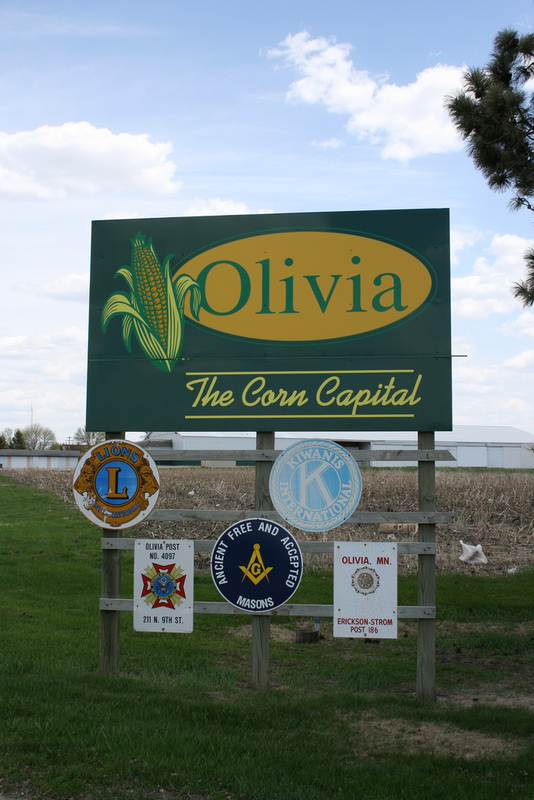 The Minnesota Senate has designated Olivia the “Corn Capital of the World”. Olivia has been calling itself the “Corn Capital of the World” since 1973, when it erected its well-known 50-foot corn monument in the shape of an ear of corn (Don’t forget to get your picture taken in front of it!). Olivia is the home to nine seed research facilities. It is located in the middle of Renville County, Minnesota’s leading producer of corn. Join us in Olivia the last weekend in July in Olivia!